Here they are, just in case you didn’t get the chance to review them before the by-election. 1. The South End Community has a vision for Nicol Street outlined in their newly created Neighbourhood Plan. If elected, what actions would you recommend to the city to transform Nicol Street from an outdated highway to a vibrant urban corridor? 2. The South End Community has a vision of creating parks space that is sadly lacking in the area. If elected how would you support and initiate the possible acquisition by the City of Nanaimo of either the properties at 901 & 925 Harbourview St. or 101 South St. for use as public parklands in the South End Neighbourhood? 3. The Port Authority has recently built a cruise ship terminal on their wharf lands. What would your vision for the neighbourhood abutting this property be? How will that impact our neighbourhood? 4. What are the ideas from the South End Neighbourhood Plan that are the most impressive to you and if elected how would you work towards their implementation? Congratulations to Ted Greves, our new council member. We look forward to working with you in the future. Never a dull moment in the South End…as they say, and 2008 has been no exception. My sincere thanks to the SECA Executive and the many members of the association who have been so very generous with their time and efforts on behalf of the association. As you can see from the list below, it’s been a busy year and we have continued to grow in the scope and reach of our many activities. Our marquee event was as big and successful as ever, sponsored by local business that contributed close to $5000 that paid for a wonderful day for south end children and families. SECA is tackling the litter on our streets in three ways. Our annual litter pick up, sponsored by the Nanaimo Recycling Exchange, is a one day large scale community clean up which annually collects an amazing amount of trash from our streets and lanes. In addition we have instituted a monthly, (last Saturday of the month) pick up for approximately one hour, with local restaurants hosting our breakfast gathering and then disposing of the litter collected. CMHA and VIHA amended their plans for the old Balmoral Hotel following widespread opposition within the neighborhood to locate the Living Room at the site. The neighborhood came out in force and was duly heard. Thanks to Councilors Diane Brennan, Merv Unger, CMHA and VIHA for responding to our concerns and we look forward to supporting and sharing in the success of the new social housing project. This project has been the cornerstone of our efforts to build upon our strengths and resources as the best way to address the social problems that persist in the neighborhood. Thanks to tremendous support from the City, the project is now well under way with new equipment being installed, floodlit soccer and lacrosse most nights of the week, $10,000 donated by the Gyro Club towards the project, $50,000 by the Rick Hansen Foundation, other fund raising pending. Many other upgrades in and around the park are planned, including a redevelopment of the Irwin / Milton barrier with a possible art installation and community bulletin board. Thanks to Kirsty MacDonald for all her efforts on behalf of Parks and Recreation. Our second annual fund raiser for the association was held just last weekend at the old Jolly Miner, now the Filling Station, and raised an astonishing $1500 dollars for the association. They have both been great events, bringing together the neighborhood as well as raising invaluable funds for the association. We are now required to carry insurance for the association at an annual cost of approximately $700, so this kind of fund raising is increasingly important. SECA applied for and received $2000 from the City to support our activities in the neighborhood. This has been placed in our general revenue account and has contributed to recent art bin costs as well as other administration costs so far. We now have a healthy balance in the account and we can afford to fund some new projects that support our mission. S.E.C.A. T shirts and art cards. Yvonne vander Kooi’s Haliburton Street inspired image adorns the new and extremely popular SECA “T” shirts that have been selling like hot cakes. $20 for a T shirt and the cards sell for $3. See Sandra for details. Subject to final council approval we will shortly be embarking on a formal neighborhood plan for the South End. We have been working towards this for many years and it is a unique opportunity for the neighborhood to shape a vision that will guide planning and development in the south end for many years to come. The number one concern in the neighborhood is the entrenched street level drug activity which has anchored itself in the alley between Nicol and Haliburton. SECA is committed to working closely with the RCMP and the City to address this complex problem. We are interested in hosting a forum of property owners and residents who live adjacent to the lane with a goal of addressing some of the physical characteristics of the lane that contribute to the problem. Thanks to the RCMP and By Law Services for there continued support. Our job is to continue to strive for the kind of neighborhood that promotes pride and caring as the best way to deter this kind of activity. This company and its expanded recycling operation continues to create an intolerable noise and air pollution for those that live adjacent to it. SECA plans to renew our efforts to seek some redress for these problems in the New Year. Wednesday January 7 at 7 PM. Princess Royal Family Centre. Our election website, South End Votes, received 4,100 visits over the 4 week period before the local election. Our goal was to both raise profile for the South End with local politicians and to give neighbours both the information and incentive to get out and vote. How did we do? Well, we know from the press received that we DID raise awareness. Whether we managed to encourage voting is still unclear…the cancellation of the polling station at Bayview School was a disappointment, and we were unable to determine how many voters from the South End actually turned out. If you want to see how the South End voted (compared to the city as a whole, click here. You can also read comments. Then between 4 and 6 PM, we’ll show them off at a Trashy Art Show at the &Loan Gallery, 33 Victoria Crescent. The gala-gala event of the season, and a place to bump into some of Nanaimo’s most fascinating folks! Don’t miss it! Thanks to the City of Nanaimo for helping to support this event. When Laura Ann Ramsay asked folks who attended the Strawberry Social at the 2005 Miner’s Picnic to complete the sentence: “I remember when….” she had no idea what that it would lead to a book. 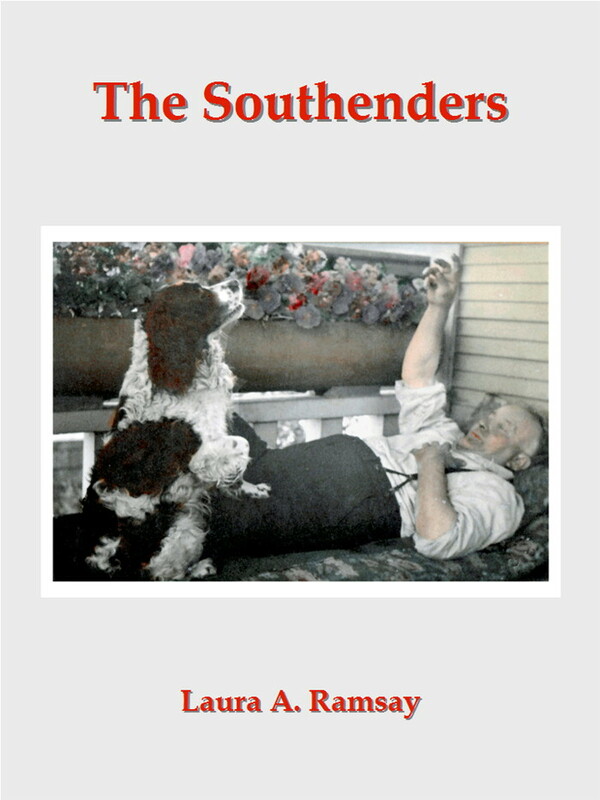 Titled The Southenders, this book has been a labour of love for her, and for the almost 100 people who helped by writing stories or assisting with the book production. Divided into decades, stories start in the 1800’s through today…memories of people, places and events, with photos and newspaper clippings. The Southenders will be launched at a storytelling tea party at the new Nanaimo Museum (in the convention centre) on Saturday Nov 8 from 1:00 to 3:00 PM. You’ll hear stories from 2 generations: Ruth Hunter and Muriel McKay Ross, as well as Jim Brice and Jim Robertson, who would likely be delighted to be called youngsters again…! The book will be available for sale at the Museum; 152 pages, $14.95. If you want to attend, please RSVP the museum at 753.1821 so you’re not left without a chair! So you won’t bother voting, eh? Now here is a simple and easy way for you to make a difference. 4. · The motion to locate a multiplex in OUR neighbourhood. You can read ALL of the responses on line. You can even post a comment and read what your neighbours are saying. Plus you can download a score sheet to help you decide who DESERVES your vote. If you’d like to leave a comment or ask a question, just click on the RED title of this section. You’ll see the complete article along with a section to write or read posts left by others. Pencil in November 8 as the date for an amazing Art Bin painting event, followed by an Official Gallery Show at &Loan Gallery on Victoria Crescent! If you would like to paint a bin on that date, or are willing to paint one in advance, please call Yvonne Vanderkooi at 754.0677 or Maggie Wouterloot at 754.2710. Details on the event for attendees in next month’s newsletter! Nanaimo’s south-end community has seen the impact of its local government this past year: an increased police presence to control the illegal drug activity, funding to rejuvenate Deverill Square Park, and councillors defending residents who refused to accept a homeless drop-in centre at the Balmoral Hotel. These accomplishments are a result of organized petitioning by neighbours who were eager to make their streets safer. The movement could lead to an increase in south-end voters in the fall election, as residents want to take a more proactive approach to shaping their community. The South End Community Association wants its members to keep up their end of the democratic bargain when it comes time to vote. Getting involved in local government is a responsibility of every citizen, not just for her neighbours, according to south-end resident Patricia Portsmouth. The last civic election in Nanaimo brought out 35% of eligible voters, strikingly similar to the provincial average for civic elections. That rate is “disappointing” for Portsmouth, who has worked on campaign teams at several levels of government. “I run into some people who say they vote federally, but not municipally, which always surprises me because it’s so close to us,” she said. Nanaimo regularly has a long list of candidates seeking public office, which has its advantages and disadvantages…… Eight Nanaimo candidates ran for mayor in 2005 and 38 vied for eight council seats. Many lack political experience, or a realistic understanding of what the job entails. They can take hundreds of votes away from more serious candidates, confusing voters and affecting the outcome on Election Day. So HOW do you choose a solid candidate in a city that has no ward system or parties? HOW can you ensure that the concerns of the South End will be addressed over the next three years? HOW can you make an informed decision? Enter the South End Votes Blog. Post any questions you have for potential councillors or mayor between now and October 10. If you aren’t internet savvy, call 740.0120 and leave your question/s on the voice mail. We’ll select 3-5 questions that best represent the issues of the South End and send them out to ALL potential council and mayoralty candidates. We’ll have all answers posted by NEXT newsletter date (November 1), both in the web and print format newsletters. You’ll be able to ask questions and make comments on the web version. We will NOT be recommending or supporting any particular candidate…that’s not our role. Our hope is simply to provide you with the information to compare candidates related to specific South End issues. When you reach the age of 18 you have the privilege of the vote. So if you never want to have a pension or regulate the banks or the big oil companies, don’t accept this privilege, take no responsibility – don’t vote in the Federal Election. And if you never intend using our medical services, or schools, don’t accept this privilege take no responsibility – don’t vote in the Provincial Election. And if you don’t think any of the following are important – traffic lights, street lights, parks, recycling, fire and emergency services, sidewalks, water, sewerage, garbage, sports fields/ arenas, boat ramps….and on and on, don’t accept the privilege, take no responsibility – don’t vote in the Municipal Election. If you ordered one of those colourful artsy SECA T-shirts, it’s in. And there are an extra 15 available, assorted colours (red, green. yellow. blue, black) and sizes (med to XL). Cost $20 each. To order, call Sandra at Sandra’s Head to Toe Salon 753.1394. She will be at the September meeting and can bring yours to the meeting if you wish. Thanks to Gord Nixon from the city and his team for initiating the clean-up of lots on Haliburton Street. And to McDonald’s for fencing the lot next to their building. We’ve been notified that the proposed multi-family project at 1150 Milton Street (old Robins’ Gardens site) is moving forward and the Development Permit application went to the Design Advisory Panel on Thursday, July 24 for review. The plan is for 6 buildings with 10 units each. The developer plans to keep as many trees as possible, focusing on the more mature ones. You’ve heard people talking a lot about the Official Community Plan for the city of Nanaimo. We’ve been invited to create a Neighbourhood Plan for the South End, with a probable start date of early next year. With light industrial, retail, multi-unit and residential zoning in our area, it’s critical that we are able to plan for growth that works for the community. If you’d like to get more info about this project, please call Douglas Hardie at 754.0677. There’s a civic election coming up in November, and given everything that we’ve been going through in the South End over the past few years, it would make sense to get out and VOTE and to VOTE for candidates who will help us gain more of the positives and reduce more of the negatives that are particular to this area. More coming on that in next month’s newsletter.